ruthdelacruz | Travel and Lifestyle Blog : Great Buys of the Week: Eye Make-up Palettes from Ebay! 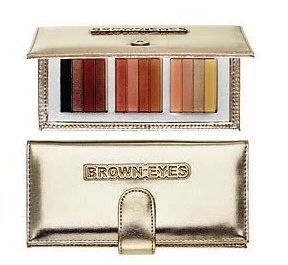 Great Buys of the Week: Eye Make-up Palettes from Ebay! I haven't really paid for the items yet, I just won these a few minutes ago, and I just want to rave about it! Actually, I was so ecstatic about the idea of winning! It's been ages the last time I bidded and won something from the Ebay, and yesterday, since I was out the whole day, I lost two items I had placed bids on so that drives me to check for some interesting items in Ebay and found the prospects and I know I have to get them. These make-up palettes from Pop Beauty made my heart beat faster - and I know I have to get them. Before bidding on these two, I had actually won the bidding for a new dress a few hours ago. But I am still not contented. I know mom would complain about the deliveries next week (my Multiply purchases are expected to arrive next week too!) By the way, have you tried shopping from the new Multiply Marketplace? I feel more protected after the transaction. Would blog about it soon. Bidding on Ebay makes two minutes (even seconds) the longest time of my life! The 1-click bid option makes the buyer easily increase the bids or place bids when another bidder outbids you. I kept on refreshing the page just to check that I am still the highest bidder for the items. I honestly don't know what to do with these palettes - but I think it would be a great start to know more about applying make-up. Or maybe I would just raffle it off. Now, let me just contact the seller, and settle this transaction. Have you recently found and bought some nice items in Ebay? © ruthdelacruz | Travel and Lifestyle Blog : Great Buys of the Week: Eye Make-up Palettes from Ebay!